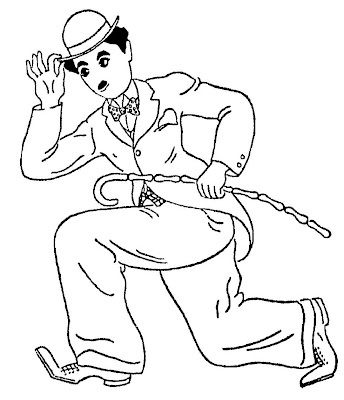 "A coloring contest that will provide lots of fun for Boys and Girls." 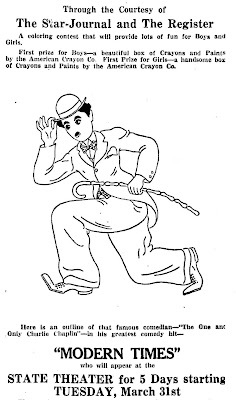 March 27, 1936. 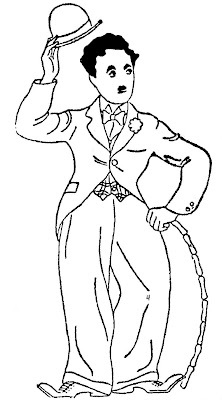 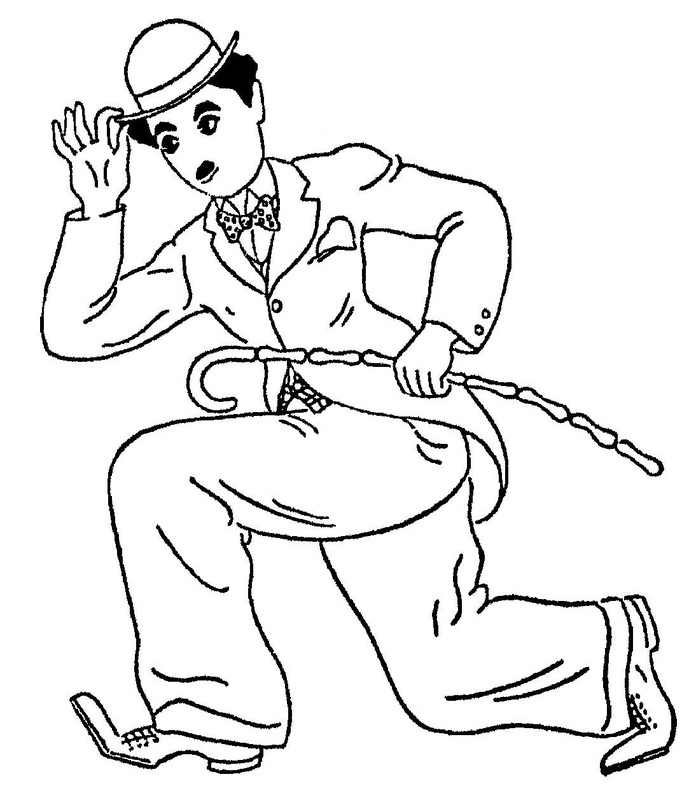 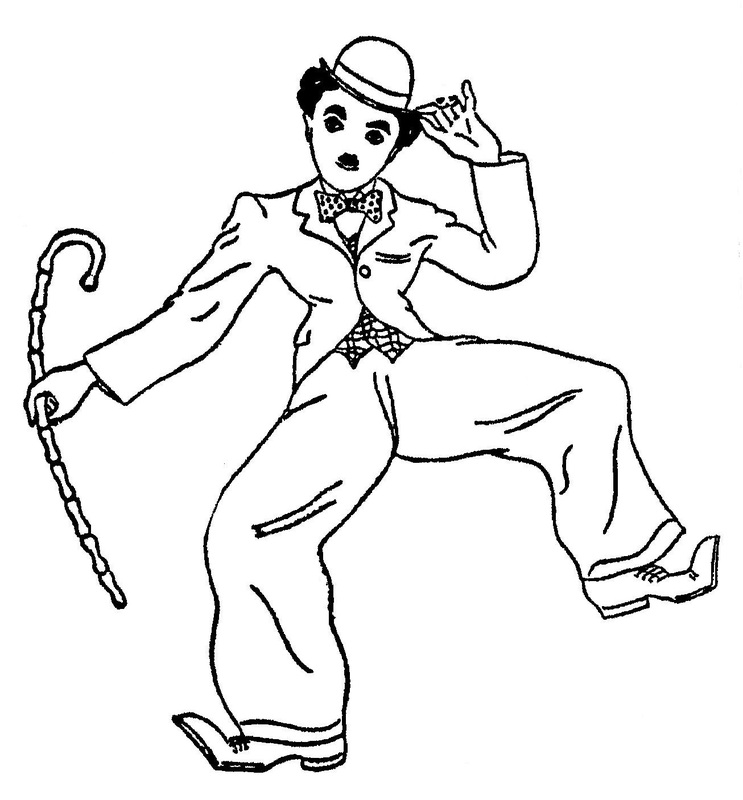 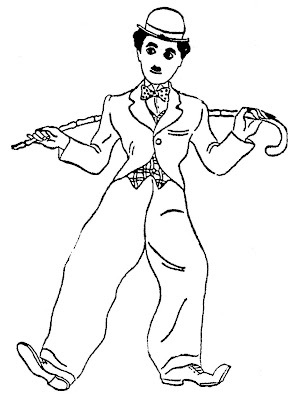 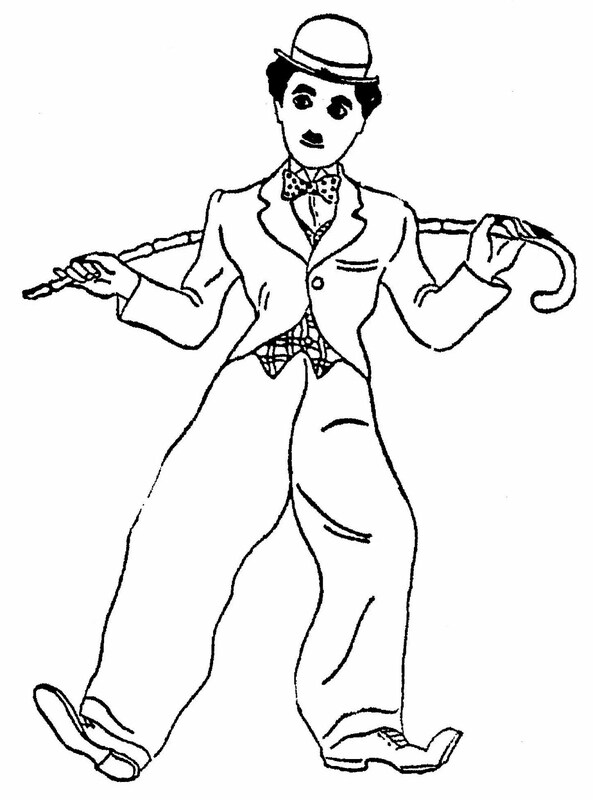 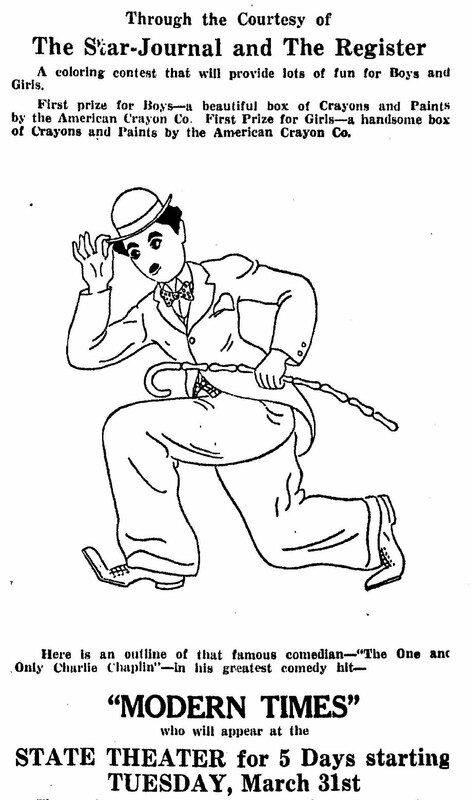 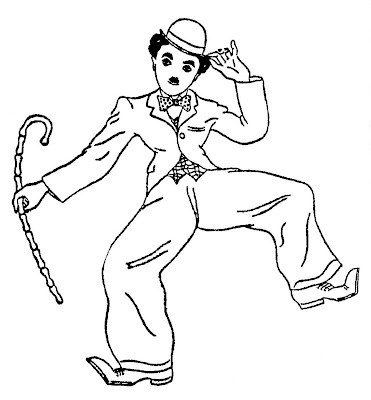 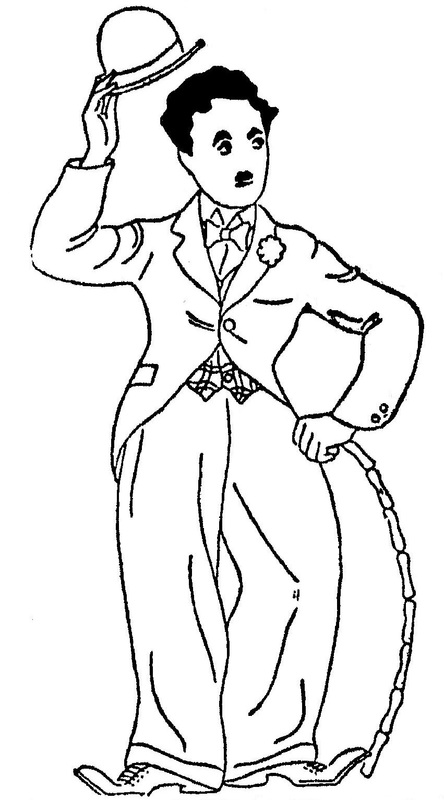 The first of four pictures of Charlie Chaplin to be colored in the contest.